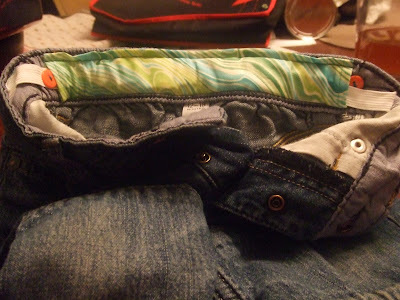 Women on a Mission: Mom Edition: ADJUSTABLE WAIST TUTORIAL! (Remember the Easy Child Belt post). 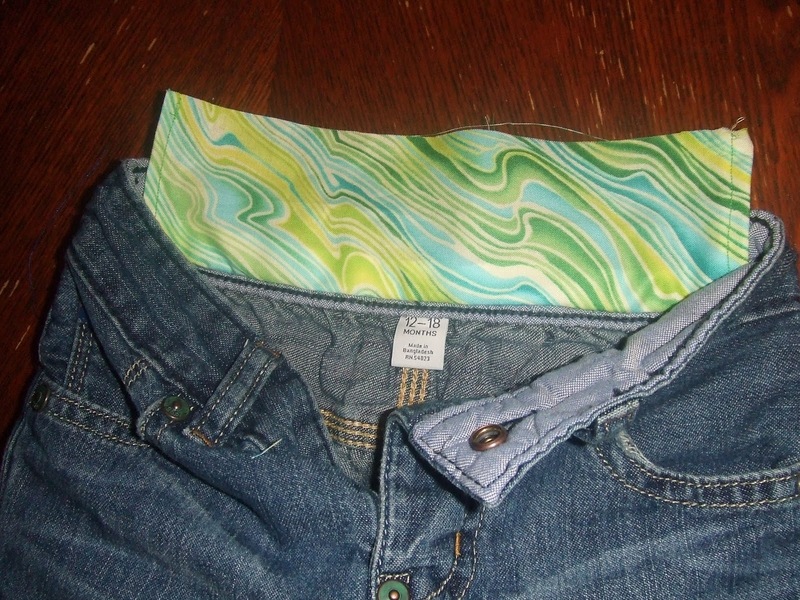 Well, that was one way to create a belt to help your child’s pants stay UP! 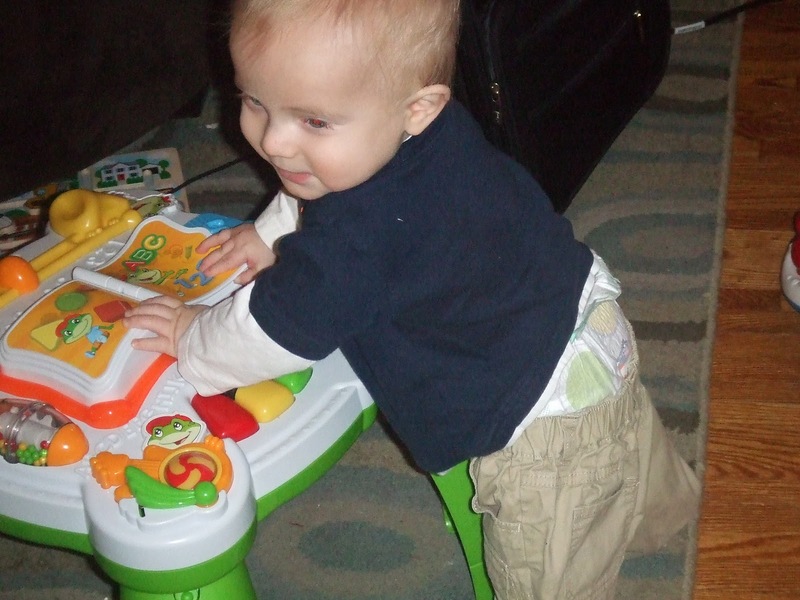 Mur-Man is enjoying his new belt…no more pants down mid-play! My thrifty co-worker Kristi is mom to an adorable little girl (we will call her Super A). She had a pair of child pants that were passed onto her from another mutual friend whose mother created an adjustable waist in the pants! BRILLIANT! Thank you to my super mom Kristi for allowing me to see the pants, to super mom Holly for passing them onto Kristi, and to Holly’s fabulous crafty mom Pat (also a Crafty G-Ma) for the FAB IDEA. I am now passing this knowledge onto you. You can make EVERY PAIR OF PANTS (or skirt, or shorts, etc.) have an adjustable waist if you would like. And guess what else? It is super easy and of course THRIFTY! A scrap of fabric (a little under half the circumference of the pant waist and a little over the width of the waist) (I went again to my scrap fabric from the hand-made “GREEN” bag and it worked perfect! That fabric has put in A LOT OF MILES!). First off finish the two edges on each end of the fabric. I simply folded them under and sewed. 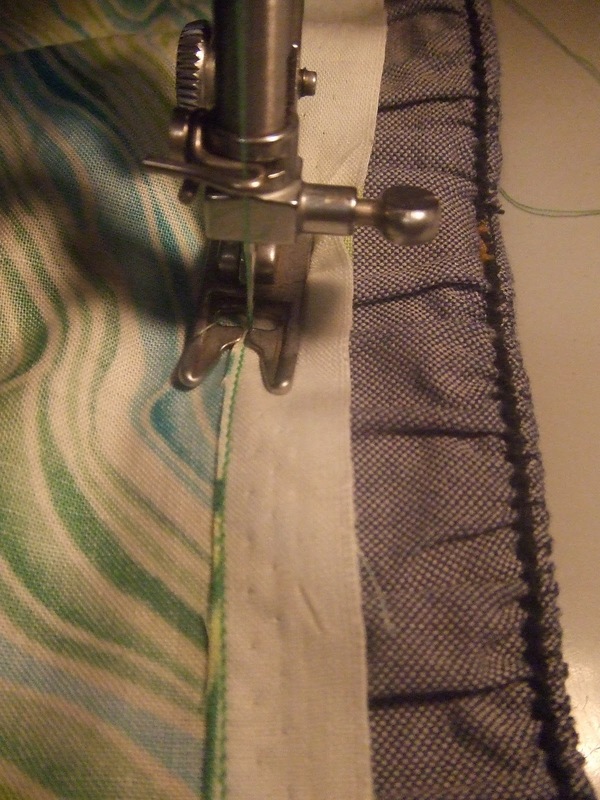 Make sure your two end seams are not raw, but are finished. Next, you will sew one side of the fabric down (right side of the fabric to the inside of the jeans). This is what it should look like when 1/2 the fabric is attached. Next, fold the other side of the fabric down and sew in place (you will be creating a long pocket for the elastic). 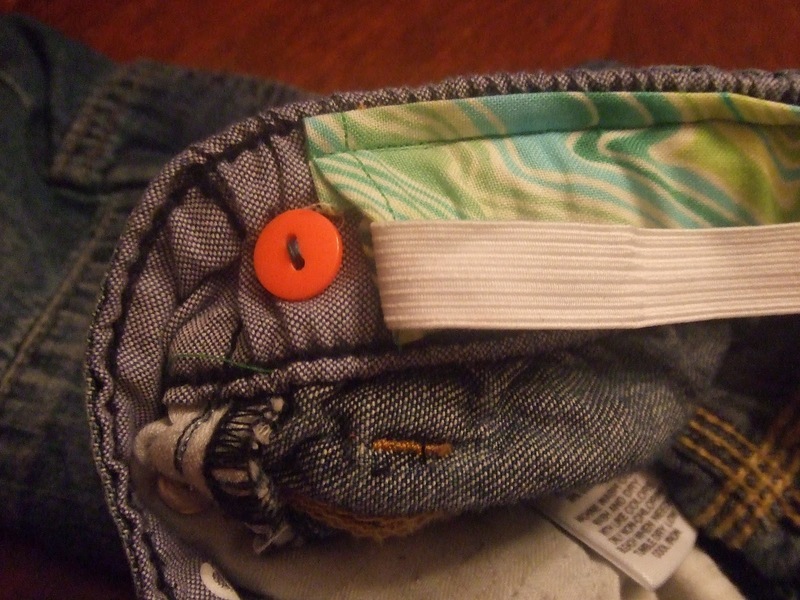 Sew one button on each end of the pocket. Sew the button in place close to the fabric pocket. Now thread the elastic through (best solution is using a large safety pin on one end). 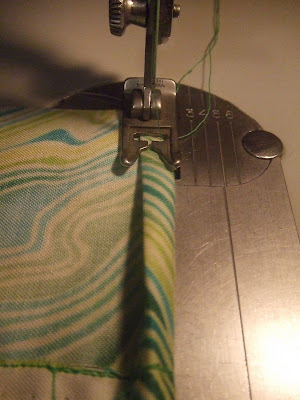 Cut the elastic an inch longer than the pocket. 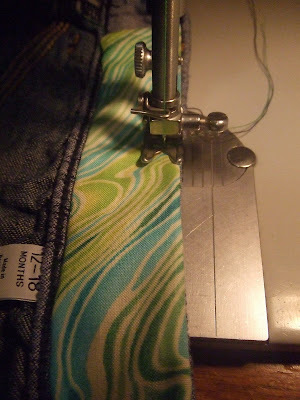 Cut button holes into the elastic (or sew button holes—not something I enjoy doing!) Now you will want to make your button holes the tightness on the elastic as needed (also, as your child grows, you can cut new button holes). Finished product--I can make the pants as tight or as loose as I choose. SIMPLE, EASY, AND A WAY TO CREATE MORE MILEAGE OUT OF A CHILD’S CLOTHES! BRILLIANT! I absolutely love this post! I am always looking for the pants with the adjustable waist for my little guy. Now if I find a great deal I can make my own adjustable waist! Thanks for this awesome "How To..."!